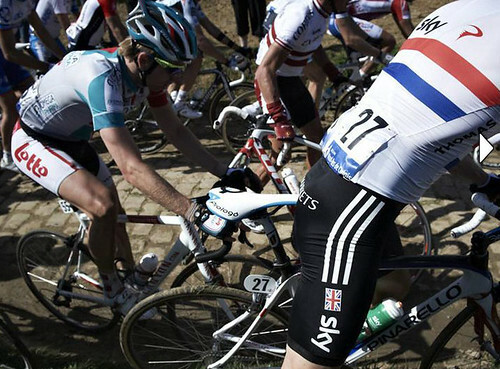 The caprice that is Paris-Roubaix is probably why so many of us in fandom first fall in love with it. Single, random scenes from it sometimes outshine the victory. – Spend a lifetime racing your bike and you’ll end up with a mental catalog of the roads of Earth. If you’re like most, your favorite roads are probably ones that have nothing to do with pinning on a number. Riding solo alongside the Buffalo River through the Boxley Valley here in Arkansas is just elk, mountains, and a haunting lack of cars. It’s the bike at its most noble, where it becomes an escape mechanism. 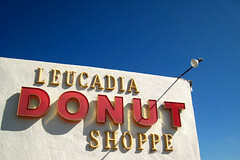 Another gem is Coast Highway between Leucadia and Carlsbad Village, just north of San Diego. It’s the stomping grounds of the venerable Swami’s race team (and, strangely enough, purportedly ground zero for a serial cyclist killer). The majesty of the Pacific lords over all. Lining the roadside is an armada of parallel parked Sprinter vans — the ride of choice for the surfer dudes who swarm the water, the beach, and the sidewalks. Lebowskis in wetsuits. Their languor overwhelms the scene. Nothing could be more opposite of us, the roadies of the world. We are an exacting bunch. How does one describe our state of being other than perma-urgent? Always rushing, always scavenging for more anger, always wracked with insecurity, always bitching about somebody being late. What does a boy from Arkansas know about surfing? Nothing. That is, nothing except jealousy. Isn’t surfing an inlet to nature at its most sublime; to a more intimate world of physical inputs; to a higher appreciation for motion and momentum? There’s seemingly nothing roadie about it. Thus, my recent affair with a mountain bike. Unlike my skinny-tired thing, it’s not a weapon. Woods and trails are the closest thing to the ocean I’ll ever have. Big-ringing it past the beach on Coast Highway, nothing seems more enviable than the surf life. Mountain bike, bring me there. – Despite cyclists’ increasing fondness for measuring everything related to their performance that can be measured, the sport still has a long way to go before it reaches, say, baseball’s obsession with statistics. That hasn’t, however, thwarted longstanding attempts at ranking riders. In 1958, Pernod, the drink of choice for elderly gents in French cafés, began sponsoring a ranking for French riders which later expanded into the international Super Prestige Pernod prize. 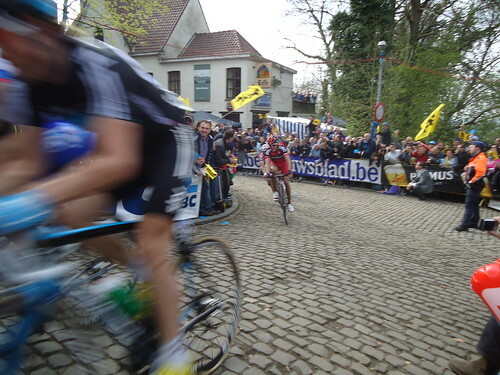 It was, for the most part, a curiosity that gave the cycling press something to write about when the road season ended. Points became much more important, however, once the UCI began ranking riders. First came the UCI ranking (which was picked up the from the pro riders’ association) and then the ProTour, now WorldTour, rankings. Because those rankings became the currency teams required to get slots in major races, particularly the Tour de France, they also play a significant role in determining riders’ salaries. The economic influence of the points also altered the sport. In the past, there was no shame in a support riders would pushing himself beyond his limits for a team leader and then finishing a stage in a team car. Today, the need to harvest points, no matter how meager, by crossing the line has dampened the desire of many riders to take bold, but risky, moves. Not surprisingly, in this age of inexpensive computing, others have created alternatives to the UCI’s current system. In Holland, Cycling Quotient continues to use to a slightly modified version of the original UCI system to rate riders. A quick look at the top three riders this week shows striking differences. The UCI: 1, CANCELLARA; 2, GOSS; 3, KLÖDEN. 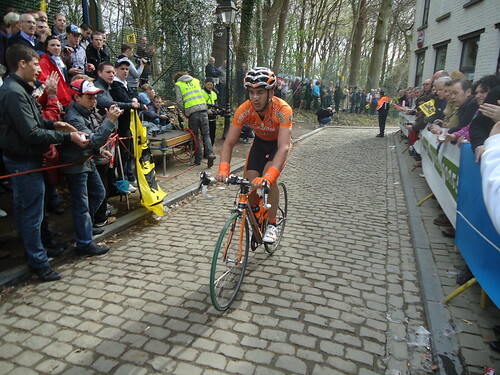 The CQ ranking: 1, NIBALI; 2, CONTADOR; 3, GILBERT. Now IG Markets, Team Sky’s new co-sponsor has announced plans to join the fray. Its main business, markets for financial derivatives, is partly an exercise in tracking and ranking so it has considerable expertise in the area. The twist with IG’s plan is the introduction of a subjective element into the rankings. The details of how it will work are yet to come. While the IG Markets Pro Cycling Index won’t determine any riders’ pay checks or set the line up of team cars at races, it may give those of us in fandom something else to talk about on training rides. But let’s hope the sport doesn’t become infected with baseball’s fantasy league obsession. – And in one last dispatch from the Competitive Cyclist correspondents at the Muur-Kapelmuur, a question: Which one of the these isn’t like the others?